Learn more about Ken Kurson today! Ken Kurson is the founder of the cryptocurrency publication ModernConsensus.com and the political site NewJerseyGlobe.com, whose founding was covered in Politico. In 2016, Kurson was welcomed to the Board of Directors of Ripple, the San Francisco-based blockchain company whose XRP token is the third largest cryptocurrency. 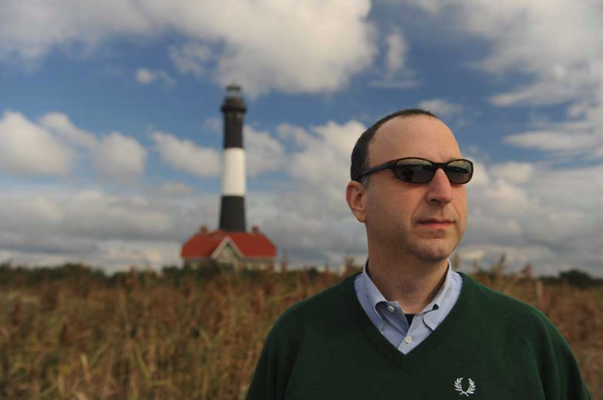 Kurson served as editor in chief of the New York Observer from January 2013 through May 2017. The newspaper’s Publisher, Jared Kushner, told the New York Times, “Ken knows the ideas, stories and voices that make up New York better than anyone. He is a journalist and an author and through his years as a consultant observed the figures who create the framework of business, politics, media, tech, culture and real estate in our city”. Over the course of Kurson’s leadership, the Observer became a digitally focused, national publication, growing from 1.1 million monthly unique users doing 3 million pageviews to 6 million unique users doing 20 million pageviews (source: Google Analytics) and from the 3698th biggest site in America to the 275th (source: Quantcast). Kurson was named 2014’s Journalist of the Year by Algemeiner magazine. At the Observer, Kurson personally broke dozens of stories, including unearthing audio of Hillary Clinton proposing to rig Palestine Elections, a campaign by Samsung to undermine activist investor Elliott Management that resulted in Congressional inquiry and a change in Samsung policy, and the revelation that a boy investor who had supposedly earned $72 million made up the entire story. In his capacity as editor in chief, Kurson has appeared on television and radio hundreds of times, in many countries.